1. The easiest one is to take a taxi at the airport. Estimated costs are about 15 euros. a. First, take the Aerobus at the airport (not the aeroshuttle, which takes another route). It costs 3.5 euros and takes about 40 minutes to reach Rua Aurea, where you should step out (see picture below). This is the last but one stop of the aerobus route. b. Head for Praça do Comércio (a big open space along the Tagus river, see picture above) and before reaching it, turn to your left at Rua do Comércio (see picture).There, take Bus nº 760. Please, pay attention to name at the top (not only the number), as the same bus number covers the same route in opposite directions. The bus should read at the top Cemitério Ajuda. 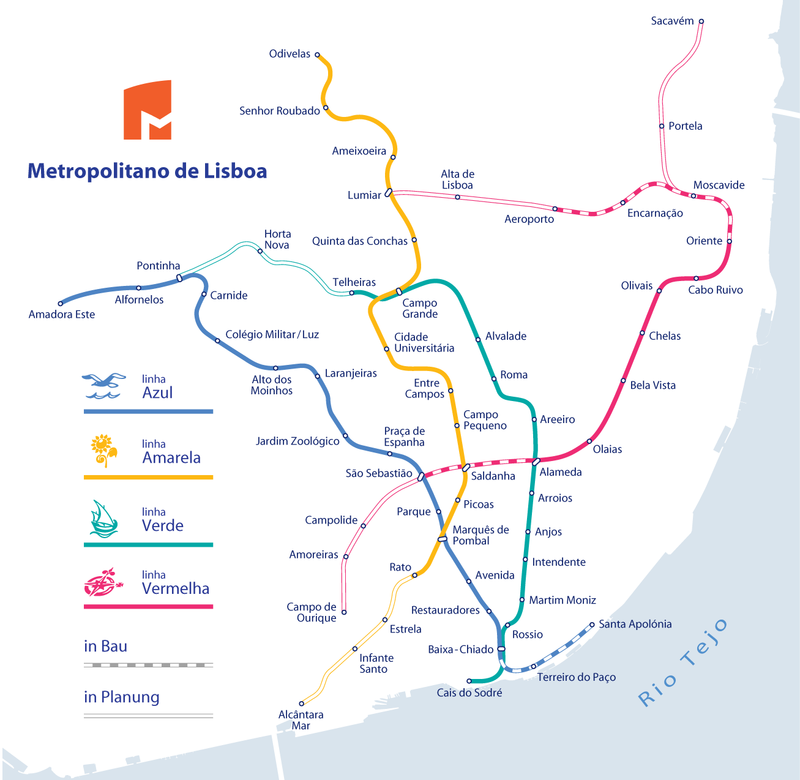 Alternatively to the bus, you may want to take the traditional Lisbon streetcar (locally called Eléctrico) nº 25E with the name Campo Ourique (Prazeres) at the top, which also leaves from Rua do Comércio. The price is 1.45 euros, although the streetcar is more slowly than the bus, and typically more crowed. 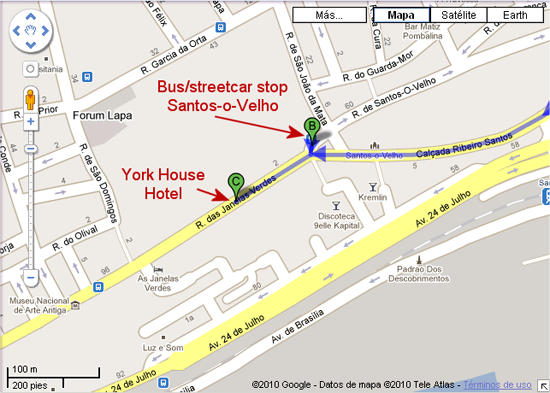 c. Step out at the stop called Santos-o-Velho (ask to the driver), which is close to the hotels' street. 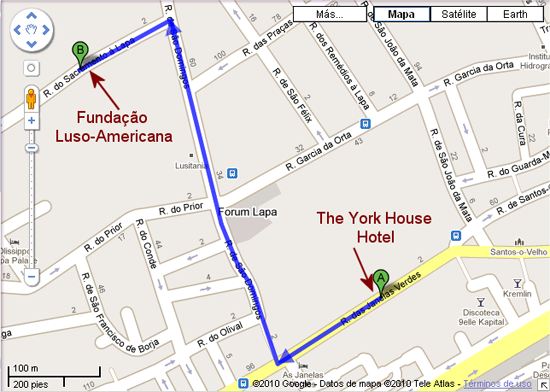 The Yorkhouse (As Janelas Verdes) hotel is 2 (3) minutes walking from the bus/streetcar stop. The hotel is placed 650 meters from the conference center, so the best way to go there is on foot. The FLAD is more or less in between the Embassies of Bulgaria and Denmark. It is a pink-coloured building with three flagpoles, next to another building with yellow and blue colours in the facade.